Paypal is one of the most well known online payment systems that will run into problems in a variety of ways. This could be directly at store fronts, or when transferring money and in rare cases could be related to PayPal going down or running into other server connection issues. The most common PayPal problems are related to the sign-in within apps and at the website, or when sending a payment along with depositing money via a credit card / checking account. 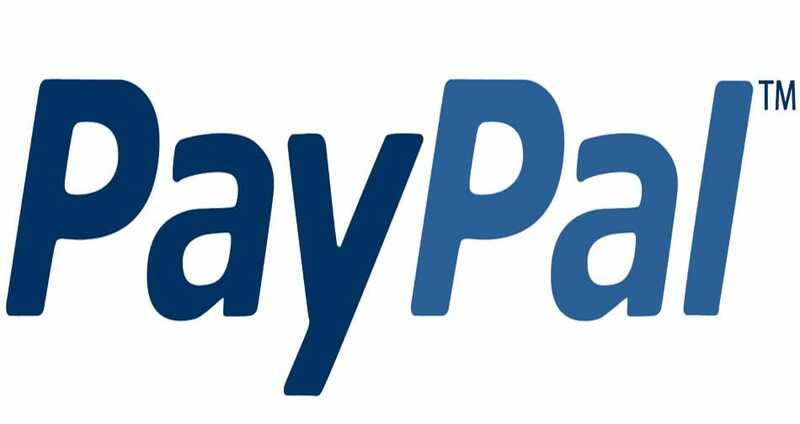 You will find support contact information on this very page, so those of you having problems with PayPal and sending money should reach out through these support channels. You can leave status updates about your problems below, and take a look at other users having issues right now. If PayPal is down today, then reports will be found below. Why my paypal can not pay for shoppingï¼Ÿï¼Ÿ The tip is: We ran into a problem and PayPal isn’t available right now. Please select a different payment option. Can’t get to the barcode page to put money on at a retailer. “Oops Try Again” shows up for 3 days! Called and said they will tell their tech department. Having issues logging in… My password isn’t working and it won’t let me transfer funds, I have triewd calling the customer service line and they deny anything is wrong with the website or app… I have my password written down and haven’t changed it, but it’s still not letting me log in… So I changed the password, wrote it down followed all the steps and it’s still not letting me log in to my account. WTHeck PayPal…. I need my $$! Can not log in but I know the email and password.Help me. Can’t withdraw money . keep getting message.”Sorry we are not able to process your request. Please try again later. I was just wondering wether yours was resolved yet because mines doing the same thing! Update 1: We are continuing to work towards resolving the issue and will provide an update as soon as the issue is resolved. 10764 – This transaction cannot be processed at this time. Please try again later. Paypal won’t let me pay for item yet my card details are correct and credit card valid. When I try to buy something from ebay and select ‘paypal’ it asks me to log in (as normal) but then the paypal page appears and asks me to ‘add a card’. I put my card details into the relevant boxes and click ‘add’ the page then just refreshes still complete with my card info and won’t actually add the card. However this card is on the paypal system and has been also confirmed by entering the relevant code. So at the moment I can’t purchase anything on ebay via paypal. I can’t remeber my password, but everytime I enter my email-address for password recovery “something went wrong on their side”. It’s been a couple of days in a row now, why can’t I get a recovery mail? I cannot login to my Paypal account. Access Denied. Why? I used the same server when I opened the account yet now access is denied. I had the same issue, it goes straight into your bank account you used to pay with. Hi i am waiting for a refund from an online store and 2 payments from eBay buyers. All of the transactions have been paid but no money is showing in my account. I’ve logged an issue with PayPal-no response!! Hello, I can’t login with my paypal account. I know my password is correct but the paypal does not allow me to login. Please help me. Both eBay and PayPal are experiencing extreme issues at the same time. While i appreciate they both lack a moral compass, possibly due to their common ancestry, I am inclined to believe that there is some sort of hack going on that has messed up their servers. The lack of admission and absense of customer contact is unforgivable and is just the kind of thing that could provide a tipping point which destroys their business. Too many people rely on these businesses for their livelihood and turnover, for it to be possible for them to wriggle out of their responsability by quoting disclaimer clauses. Gross incompetance is not a legal defence, rather a finger of guilt. it seems paypal is down. ppl can not check out on my online store. I am losing money. have been trying for a week now. don’t know whats going on. trying to be patient. PayPal is being a pain in the rear end at the wrong times. I made a payment and its saying it didn’t go through. A buyer on eBay cannot seem to get a payment over to my PayPal. is PayPal down or something? I am living in the UK and need to send a payment to the USA, but its not working. Hi i cant remember my paypal password. Im trying to reset it but my phone number that was registered to paypal is no longer available. How can i reset my password? I’m trying to pay a money request as a guest with my credit card,which I’ve done numerous times in the past, but it keeps saying that it can’t complete the transaction. Anybody else have this problem? Any suggestions? Just managed to figure out a solution to the problem of not being able to log in as of today. Issue is linked it seems to fingerprint security. Uninstall the PayPal here app. Then set up fingerprint security on your phone and register a fingerprint. Reinstall PayPal here and log in on WIFI on your phone. On first use of installed app it will ask if you want to register a fingerprint for access. Select yes and scan your print and you should then find your app is working fully on your phone normally via 3g or 4g etc. Made a withdrawal but not showing in my account 12 hours later.. I cannot pay for my Ebay order. The PayPay support phone is always busy. O…and no message just circulating icon on center of the gray screen! Why do i get this message every time i attempt to pay for something, Paypal authenticates my information and then it says ‘logging you in and then i get this: An error occurred during processing. Please try again. When i try again exactly the same. I have the same problem. I hope this gets fixed soon. i have this error when trying to checkout and change conversion rate option: Things don’t appear to be working at the moment. Please try again later. Will NEVER use them AGAIN!! Once I Withdrawal ALL Money and Bank associations!!! !…PayPal?……Go to HELL!!! The website has been down for 3 days. Now the phones are down too and I can’t access my money. This is shameful. Can this be reported to some governing body or Federal bureau? I have tried to login in multiple times on my main personal Paypal account and it keeps telling me my information is invalid and theres something wrong with my e-mail when in fact my email is working just fine. It just won’t let me into my account. I’m concerned that it’s telling me my information is not correct and won’t let me log in. I’ve changed password successfully twice then won’t accept the new information when I log in? Is this happening to others? It seems that they fixed it, for now anyway. I never contacted them, but I’m sure others have and hopefully yours will be fixed soon! Did u get the problem fixed? Mines doing that now. Did u get problem fixed? Mine isnt showing any transactions. I wasn’t able to see any payments received in my business account earlier today. Now I’m seeing most of them, but there are still some missing. I hate to ship until I’m sure the money is there. My activity shows no purchases….saying I’ve bought nothing in 3 years…. I certainly have…. Please look into this. My activity including payments from ebay sales are not listed and the money hasn’t been added to my account total. Please fix this. As of 11-28-16, 10:40 AM. I assume PayPal is down because I can’t not LPG into my account or make any purchases checking out with PayPal. It was good for me last night no problems whatsoever. me too ,it’s tow day ago. Hi All , i can’t log in my PayPal account , and i can’t reset my password by their site , i don’t find any option which can help me , what i must do , any solution please ???? For the past 2 days I am unable to purchase anything with my paypal account on eBay or anywhere else, have contacted both paypal and eBay but neither of the them have responded, am getting very frustrated! You should contact them directly. I had the same problem and they resolved it the same day. This was something that was going on with many of them. Sometimes it is due to one of you credit cards expiring soon that may be connected to your account. That was my situation. There could be other reasons. Remember, this is for your protection. Some of the things that occur may be a reminder to stay connected and alert with all of your personal and business accounts. I don’t work for PayPal but I am a user and very rarely have problems with them but when I do they resolve it right away. Can’t use Paypal credit when purchasing from eBay!!! Can’t log in to my Paypal account, even changed password, still cannont log in, what the hell is going on Paypal….. I know my password and email but it wont let me log in. Also i click ‘forgotten password’ (which i haven’t) i then reset it and STILL cant get in! I’m getting emails saying i have to contact them due to unusual activity and i have no way of knowing if they’re ligitimate emails anyway! I phone the 0800 number but its an automated system asking for the last four didgets of my bank card so that’s alerted me for a start! HELP. What on earth is going on! My password is correct but i still cant log in. I then changed my password but still cant log in. Cannot send payment via eBay iPhone app. I get from eBay to PayPal, with the screen showing payment method (card) and how much is coming out, but every time I click on pay the screen goes blank and the bar at the bottom goes grey. Only thing I can do is to click cancel in top left corner. The Paypal page won’t load at all on my mobile or laptop. sent payment to a relative. money went off my account but can’t see the transaction in my activity log. relative hasn’t received the money either. been over 2 hours now……. Unable to log into Paypal today and have tried changing password a number of times. Can’t purchase goods online using Paypal today. Transactions refuse to proceed to payment option once details have been completed. What is the problem? For about an hour now (12:30pm-1:20pmEST) SOMETIMES I can connect with PayPal, but while using I get “Problem loading page”. Other times I can’t even log in getting msg “Problem loading page”. I can login to Paypal using Firefox only, it doesn’t work in Chrome or Edge. I made three purchases in Firefox yesterday, I didn’t get any confirmation emails but I see today that only one of those transactions apparently went through. UK user here, forgot to mention. What is going on with paypal right now, i was adding funds and then the app just crashed on me. PayPal is down for me, cannot seem to login via my app. Internal Server Error message 8th Sept 2016 in the afternoon.